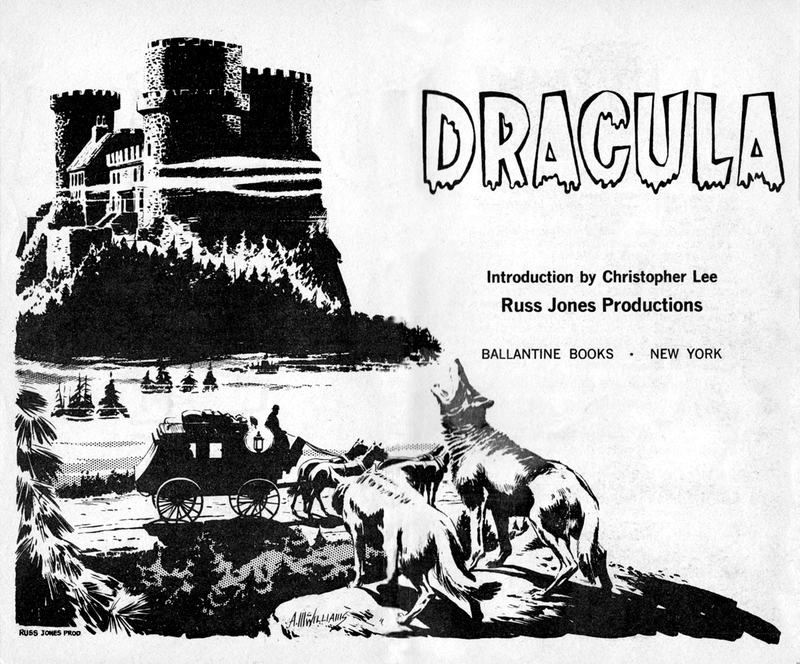 Published in 1966, Russ Jones's Dracula was co-written by Otto Binder and Craig Tennis, with illustrations by Alden (Al) McWilliams. 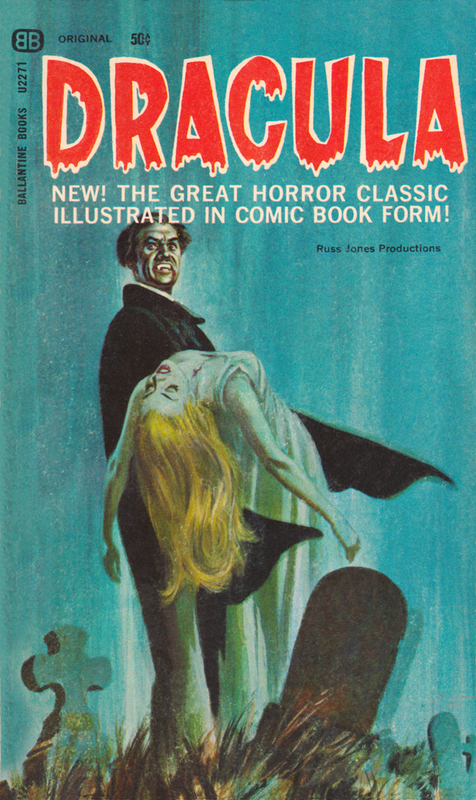 This paperback may be considered the first graphic novel, as it predates early works by Marvel and DC from the 60s, all of which were original stories-- including Captain America: The Great Gold Steal (1968), The Avengers Battle the Earth-Wrecker (1967), Batman vs. the Fearsome Foursome (a novelization of the movie, published in 1966), and Batman vs. Three Villains of Doom (a story based on the Batman TV series, also published in 1966). 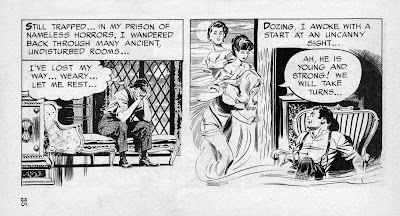 Although The Adventures of Superman, written by George Lowther, was published by Random House in 1942, it only included ten illustrations by Joe Shuster, as well as some of his sketches. It's also safe to call this the first Dracula graphic novel, since the adaptation of the 1931 film, published by Dell in 1962, was in comic book form. And, for the record, let's claim this as Canadian, since that's where Russ Jones was born and raised. 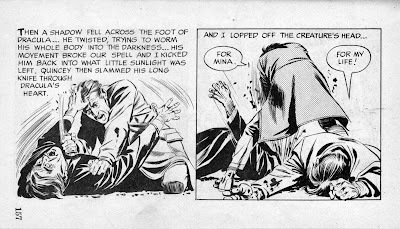 He is also an author and illustrator, having worked for Marvel, Charlton, Gold Key, and others, but perhaps he's best known as the creator and founding editor of Creepy magazine. Under the pen name Jack Younger, he later wrote several novels including The Curse of the Pharaohs (1976), Deviln (1976), and Satan Sublets (1979). One of the many interesting facets about this graphic novel is the introduction by none other than Christopher Lee, who provides a brief introduction to Bram Stoker and the novel Dracula, and writes of his own work with Hammer Productions. 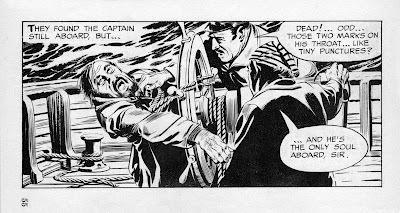 Then it's on to the main course, which is lavishly illustrated by Al McWilliams, who had a lengthy career and primarily worked on newspaper comic strips (including Buck Rogers and Star Trek). 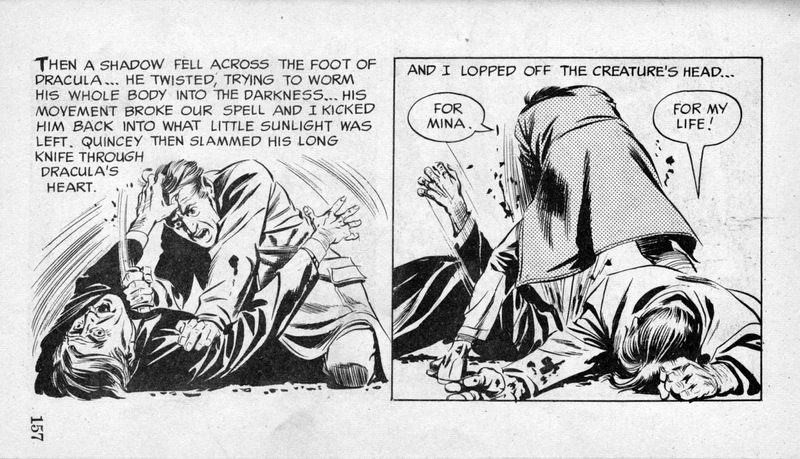 He also worked on the anthology comics Twilight Zone and Boris Karloff Tales of Mystery. The co-writers also had varied careers. 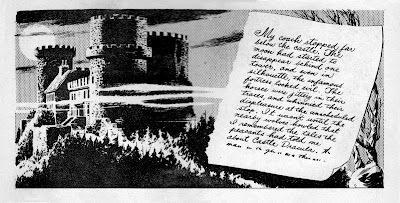 Otto Binder is perhaps the better known, having been the driving force in the 1940s-50s on the comic series Marvel Family (which featured Captain Marvel and his superhero family), as well as other work for Marvel and DC. Craig Tennis primarily wrote for Eerie and Creepy in the 1960s. The story is an excellent adaptation, and includes the major plot points--and even gets the ending right! Today, Jones's publication may not be widely known, but the book itself is not uncommon and can be found relatively cheaply online. 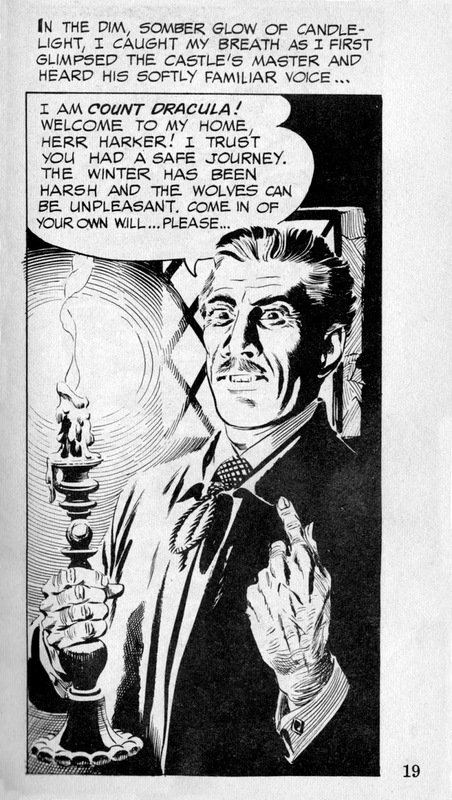 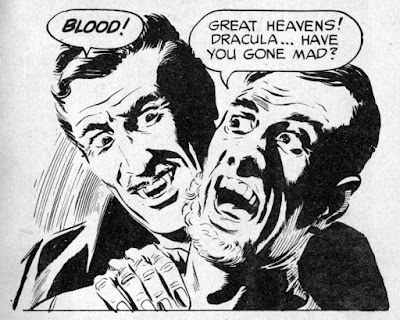 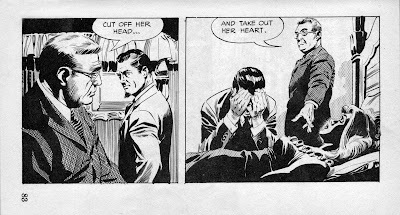 The same year he published Dracula, Jones's work was featured in Christopher Lee's Treasury of Terror (1966), which is a collection of classic horror short stories adapted to comic book form. 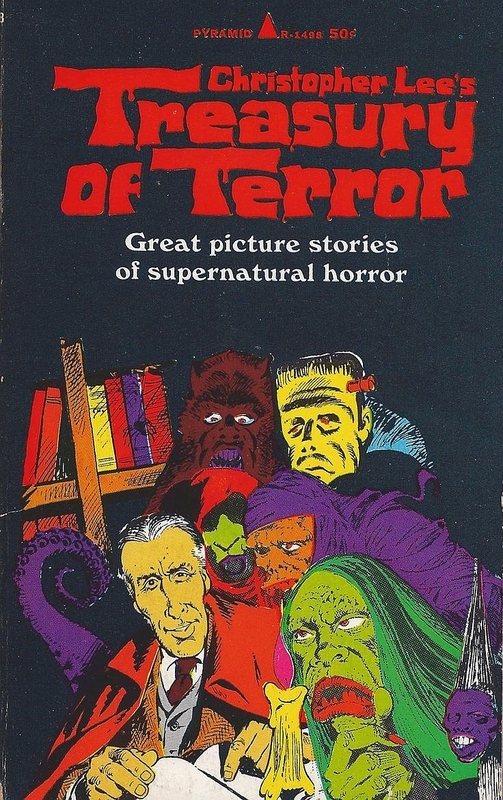 Craig Tennis also wrote three stories in this anthology.